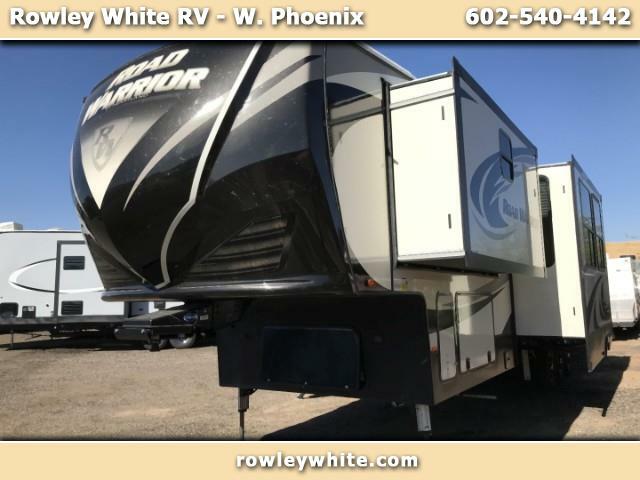 Rowley White RV carries all types of toyhaulers and 5th wheels giving you more to choose from, including this RoadWarrior from Heartland RV. This garage model has everything for a comfortable trip including residential style furniture, hydraulic jacks, and king bed. Message: Thought you might be interested in this 2019 Heartland Road Warrior.